Certified American Clay Earth Plaster Artisan/installer for Southern California and Hawaii, Decorative Painter, Venetian Plaster, Faux Finishes. Custom Painting. 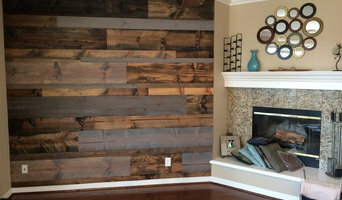 I create wood-walls, abstract & ocean paintings, sculptures, one of a kind items like pipe shelves, headboards, barn doors, tables, desks and beam mantles. I partner with home owners, interior designers, architects and builders to create custom items for themselves and their clients. I have 20 years experience building and designing spaces along side other great San Diego talent. I am a thoughtful and caring creative type with an eye for detail and over all aesthetic appeal. Feel free to connect with me here on Houzz, drop me a line at Jason@ArtistX.com, visit me online at <a rel="nofollow" target="_blank" href="https://www.instagram.com/artistxofficial/">https://www.instagram.com/artistxofficial/</a> or call me directly at 760-877-4815. 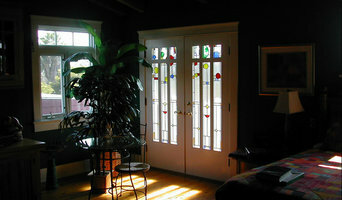 Fulltime artist since 1982 working with architectural art glass, stained, leaded, beveled and sandblast etched glass. Currently also working with glass mosaic. I am a decorative painter specializing in wall murals, decorative plaster, faux finishes, trompe l'oeill and custom canvas art. My favorite requests are painting kids and teens rooms and also nurseries. I also create custom, high end artificial succulent arrangements and wall hangings. 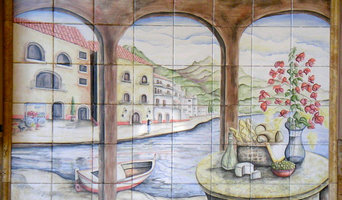 Please visit my web site at www.camicographics.com for more portfolio pictures and to contact me for a free consultation. Athens Design offers creative and custom solutions for your interior and exterior needs for both residential and commercial projects. This includes Color Consultation, Project Management and Restoration of Fireplaces, Artwork, Picture Frames, Furniture and Cabinetry. There is also Design Direction for selecting fabrics, furniture, flooring, lighting and other aesthetic elements for your project. Other services include Moss Preserve Panels and organic creations, Specialty Painting such as Faux Finish, Murals and creating Custom Fine Artwork and Sculptures. Tricia Skoglund has been creating color-rich metal artworks since 2005. 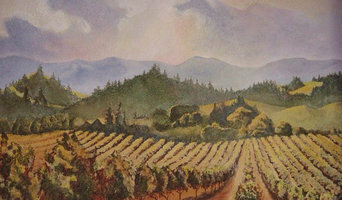 Tricia's work incorporates a wide variety of mediums, textures and shapes, which can be attributed to her unique torch-cutting style. Many of her contemporary works of art include a rust patina, which is well suited for hanging indoors or outdoors. Aaron Chang is an American-born artist, known for his exceptional ocean photography and stunning visual art. An internationally acclaimed artist, Chang has collectors all over the world and his work has been published in hundreds of books and magazines. Respected as a creative force who helped visually define the sport of surfing, Aaron spent 25 years as a senior photographer at Surfing magazine, traveling to the far reaches of the globe. During this time, Chang set new standards for modern ocean photography. Today, as a fine art photographer, Aaron’s company has owned and operated two thriving galleries in the San Diego area for the past 9 years. Aaron continues to travel the world, having melded his passion for the ocean and the visual arts into a successful lifelong career. Aside from photography, Aaron is delving into multi-media sculpture. The most exciting piece in the works is a 20-foot surfboard sculpture, comprised of 65algae-based surfboards. The purpose of the sculpture is for the public to experience what it’s like to ride a big wave, bringing awareness of the beauty and power of our oceans. Aaron’s new direction melds the abstract and reality genres in the ocean realm, resulting in the viewer connecting with nature in meaningful way. Aaron continues to create pieces for commercial development companies, including 2 mixed media sculptures commissioned in 2017 by the health care industry. One piece spans 10’ wide x 15’ high. It is a lenticular image of a wave that’s breaking as the viewer moves alongside the piece. With the trend toward biophilic design (bringing the connection with nature into the design of where we live and work) Aaron’s art is aligned with the concepts that focus on the energy and power of the ocean. Aaron’s passion is to share his love and connection with the ocean. Whether through photography or sculpture, Aaron has a base of passionate fans that long to experience the beauty of the ocean through his eyes. You can see more of Aaron's work at AaronChang.com. We do paint and create any design or mural or faux finish you can imagine and have extraordinary attention to detail and the vision on our clients. No job is too big or too small. 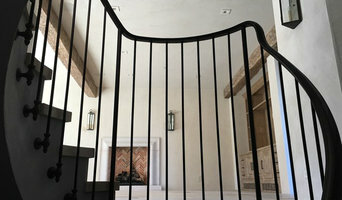 We can match and repair and touch up any previous work of faux finishing or Venetian Plaster. Excellent eye for color. Very clean working ethics and protect all surfaces. The framing team at Once Upon A Frame has the ability, joy, and fashion to make frames and clearly, customize! Honorably serving San Diego North County’s community for the last 15 years, we have gained the reputation of being the most creative and service minded frame shop around. By appointment or stopover, we welcome you to visit our studio located in Solana Beach’s design district on North Cedros Ave.
Ferrous works with designers and architects to create unique artistic and structural projects for gardens and homes. Working with stainless steel, stained glass, wood, brass and stone we create pieces to complement any design. Tirage Fine Art offers more than 3500 original representational oil paintings, pastels and sculpture by sixty recognized artists in styles ranging from traditional and plein air landscapes to impressionism, urban expressionism, figurative, and photo realism. Tirage Fine Art is a thirty year specialist in the restoration and cleaning of oil paintings, portraiture, custom framing and site specific art.